I've been a glasses wearer for many years now and I tend to wear my specs daily as my eyes can't handle contacts very often. I love switching up my glasses as they can completely make or break an outfit I think. My everyday glasses are brown, tortoise shell-esque which are quite sensible and pretty great for work. 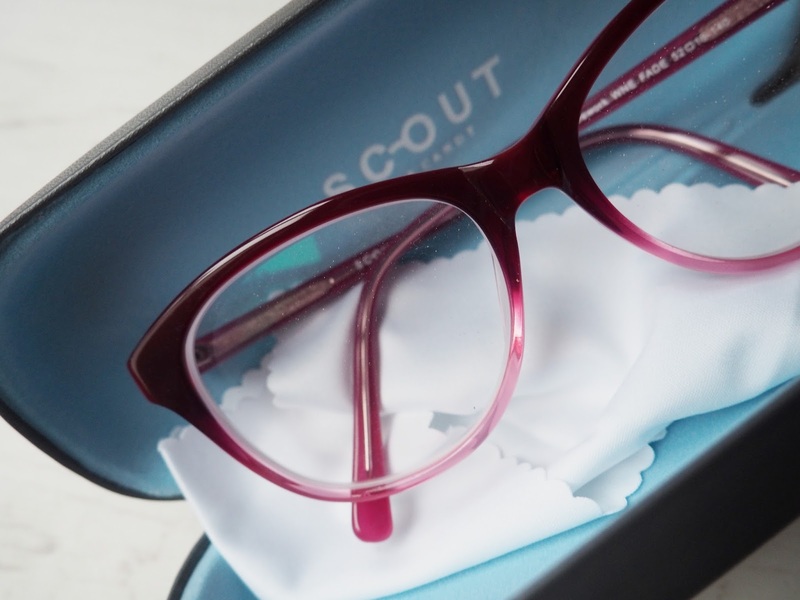 However I've been on the look out for something a little more 'out there' and these glasses from Scout at Glasses Direct* are just perfect. 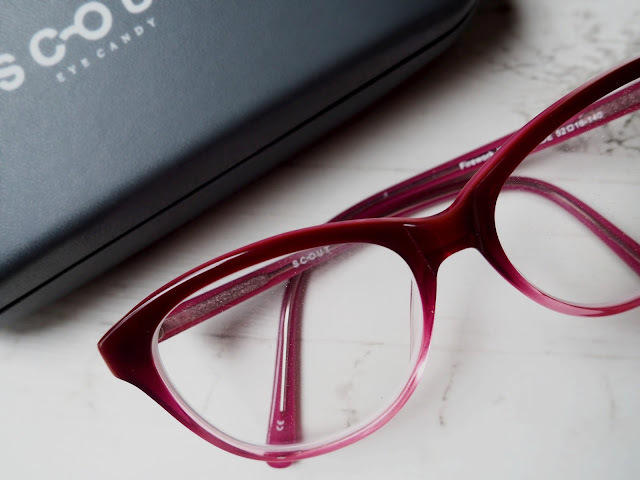 The frames are a gorgeous cranberry red colour and ombre down into a light pink. I love the actual shape of the frame too, they're just off round and really complement my face shape. As with all the glasses on Glasses Direct, these are really sturdy and well made, which means I can throw them in my bag, on days I have my contact lenses in ready for when my eyes get too dry. I can't wait to try these out with different make up looks. I know the colour really compliments my pale skin and I feel like playing around with different eye make up would be great with such bold frames. These have certainly become my 'fun' glasses, when I just want to be a little more creative with my look.